A Framer Framed exhibition in the public space of Amsterdam-Noord, for the art manifestation Pay Attention Please! 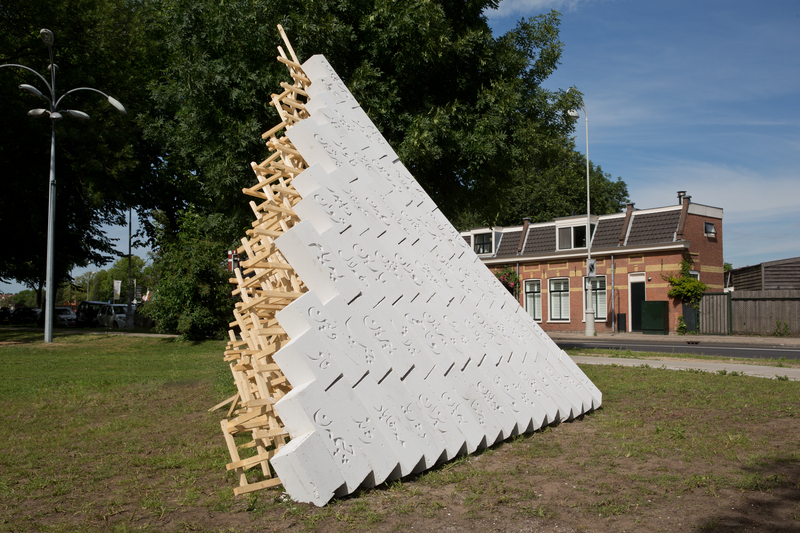 On 22 June Public Art Amsterdam opened the first edition of their art manifestation Pay Attention Please!. Eleven leading art institutions in Amsterdam, amongst which Framer Framed, join forces in the summer of 2018, contributing different perspectives on art in public space. Point of departure for Framer Framed’s contribution is the increasing gentrification and rapid changes in the city, specifically our ‘own’ area Amsterdam-Noord. This raises questions such as, who does the city belong to? And who decides what happens to it? 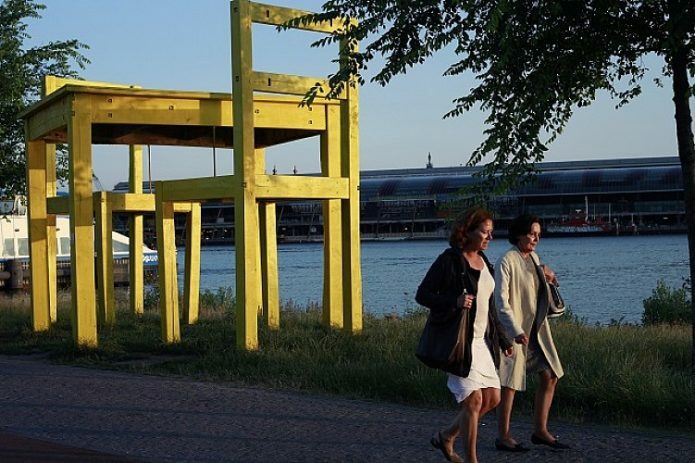 For Monuments to the Unsung, Josien Pieterse director of Framer Framed invited three artists, Wafae Ahalouch, Suat Ögüt and Walid Siti, to create a work in the public space of Amsterdam-Noord. Each from their own perspective, the artists question who gets visibility in public space, and who is missing. Specifically, they focus on the way in which monuments reflect structural power relations in society, questioning, for example, why it is usually ‘big men’ who are honoured in public monuments. Through their works the artists empower and reclaim public space for underrepresented groups. 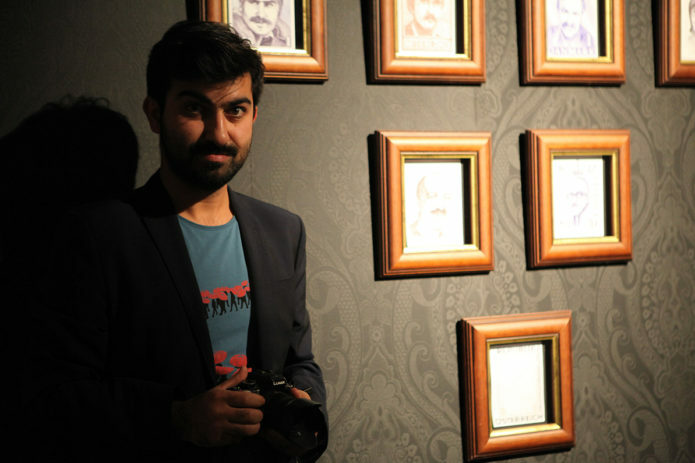 The work The First Turk Immigrant or The Nameless Heroes of The Revolution by Suat Ögüt shows nine bronze busts of Turkish migrants. 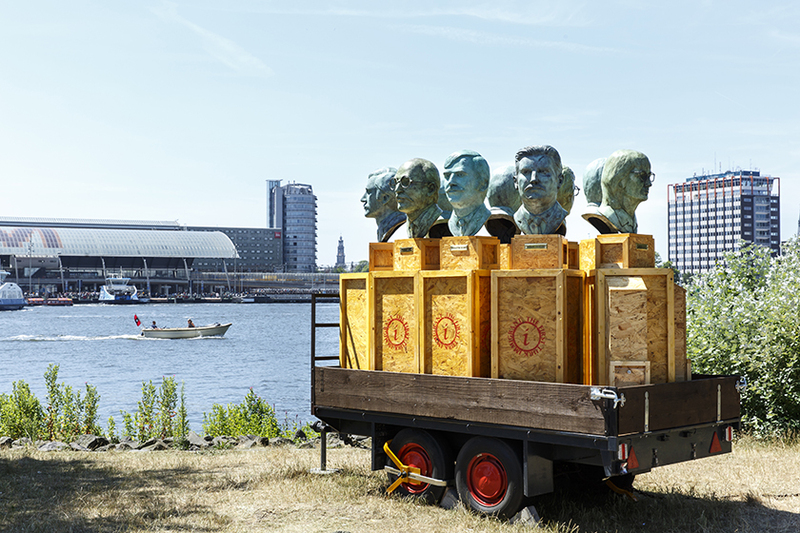 They are an ode to migrants who had to leave Turkey because of their political ideals, and who were posted in countries like the Netherlands as so-called ‘gastarbeiders’ (‘guest workers’). Amsterdam-Noord, too, has been a home to many Turkish (labour) migrants since the sixties. They made a highly important contribution to both the industry and the character of the area and the city, but are now pushed to the periphery to clear the way for tourists and wealthy real estate developers. 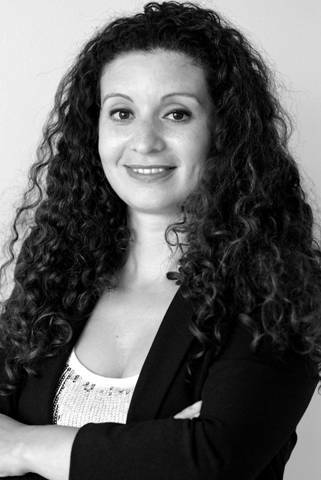 Both Walid Siti and Wafae Ahalouch focus on the position of women in public space. Siti draws attention to the fact that it is always men who are remembered, while women for the most part remain invisible, both in public space and public debate. His Monument to the Unsung, a reference to the ubiquitous ‘monuments for the unknown soldier’, is an ode to women, specifically Kurdish and migrant women. The work Silent Scream by Ahalouch centres on women’s voices that are unheard, and the sense of powerlessness that accompanies it. In another work by Ahalouch, Strike a Pose, the artist explores the possibility of claiming space and visibility, even if you are not in a position of power. 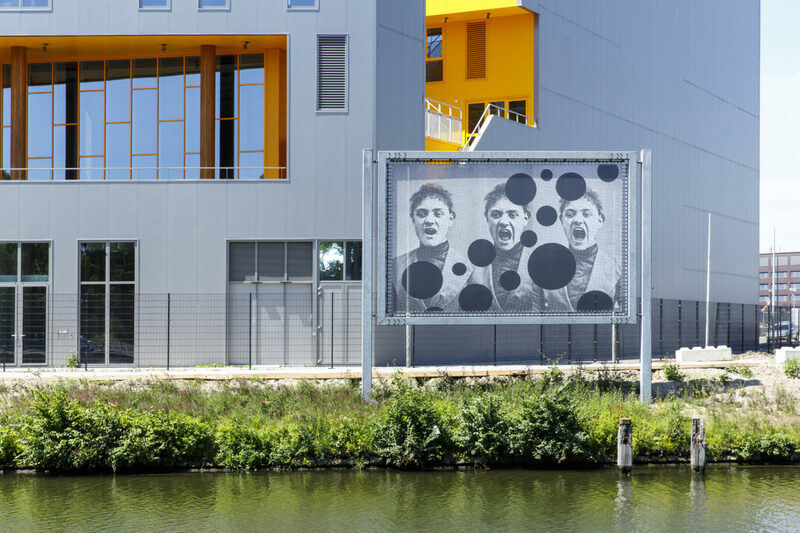 The series of works Framer Framed presents for Public Art Amsterdam each in their own way appropriate space for groups that do not get as much say and visibility in the city. Through these temporary ‘monuments’ as part of Monuments to the Unsung, Framer Framed opens up the public space for a wider range of stories and perspectives, raising questions about who does and does not get represented in the city, and what this says about the values we want to carry out as a city. 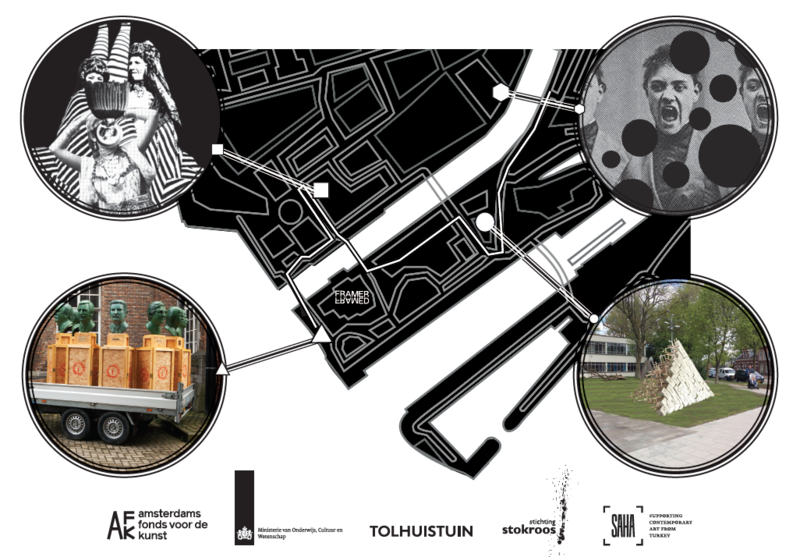 On Saturday 23 June at 15:00, the artworks are officially ‘unveiled’ to the public by way of a walk and tour past the works, in the presence of the artists and curator Josien Pieterse. We start the tour at Suat Ögüt’s work, at the IJpromenade (see below) and end with festive drinks at the work of Walid city, Tolhuisweg 2. LAPS / Gerrit Rietveld Academie, CBK Zuidoost, De Appel, GET LOST-art route, Frankendael Foundation, NDSM Werf, Oude Kerk Amsterdam, P/////akt, Stedelijk Museum en TAAK. 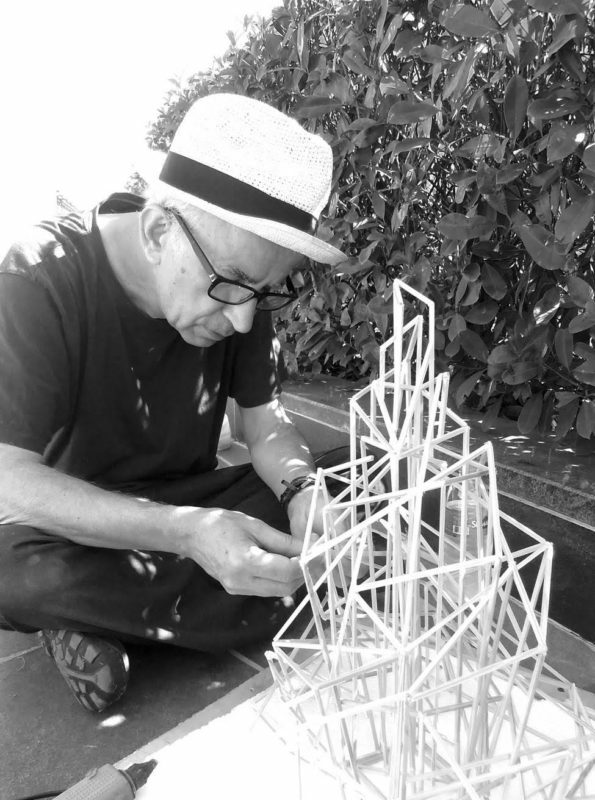 Monuments to the Unsung, and specifically the project by Suat Ögüt, was made possibly with support by SAHA and Stichting Stokroos.